For many of your construction and DIY jobs that use sheet materials wood sheets can be a better choice than natural timber boards. Wood sheets tend to be easier to work with, more versatile, and more affordable. It can also be easier and quicker to find them with the precise dimensions and properties to suit your sheet materials job than to custom make timber products to do the same job. Building Supplies Online offer a great range of all varieties, suitable for all kinds of job where you will want to use sheet materials. Our wood sheets are available in a range of sheet sizes and thicknesses, and with both modern and natural wood-look finishes. And all are available at great value, affordable prices. So whether you are construction industry professional, a DIY enthusiast, or even someone who enjoys crafting and model making, you will find the wood sheets in our range to meet your sheet material needs. What kind of wood sheets do I need? 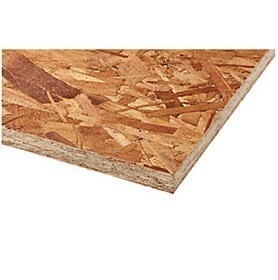 If you are using wood sheets in load bearing places, such as in sheathing for internal or external walls, in flooring, or for decking in the roof or loft then you should choose from our range of OSB wood sheets. 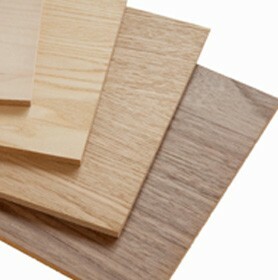 This kind of wood sheets, made from a mixture of wood fibres and adhesives that are compressed before drying are especially strong and rigid. They are uniform and consistent across the wood sheets so can be sawed to the shape you need, and can have nails and screws hammered or drilled into them without weakening. These versatile wood sheets can also be used in furniture, shelving, and outhouses like garden sheds. 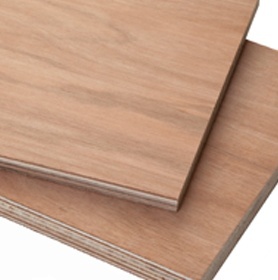 If you are laying flooring, either in a new build project, to replace existing boards, or as a suspended floor over a solid sub-floor, you will want to choose from our range of chipboard flooring wood sheets. 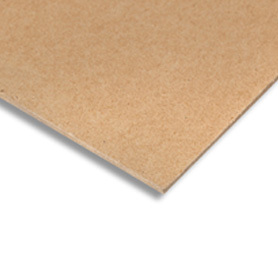 This type of chipboard wood sheets are specifically designed for use in flooring. The wood sheets are consistent, smooth, can be cut and shaped to fit your job, and can be fixed using screws, nails, or adhesive. 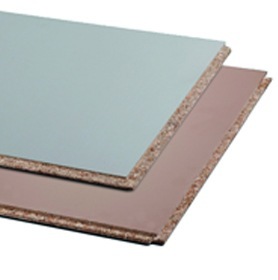 This makes chipboard flooring wood sheets easy to lay, ideal for use in flooring. 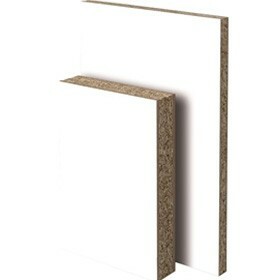 Our range of wood sheets also includes chipboard that is designed for decorative uses where you want something that looks good as well as being strong and rigid. Our chipboard decorative wood sheets have an MFC finish that is smooth and attractive so they are ideal for internal project such as furniture. Because of the consistency of chipboard decorative wood sheets, their reliability, and their affordability, these wood sheets are the preferred choice for office furniture in particular. For jobs that need need rigid wood sheets such as for signs, displays, and furniture backing choose from our range of very affordable hardboard wood sheets. As these hardboard wood sheets have both smooth and textured surfaces they are also useful where you would use wood sheets in jobs that need to be resistant to slipping so are suitable for some flooring jobs as well. Our large selection of plywood wood sheets are ideal for a range of load bearing jobs. They are available in a variety of finishes to recreate the look of different natural woods. And our range includes both softwood, and hardwood grades of plywood wood sheets, depending on the load bearing requirements of your job. These plywood wood sheets can be used in jobs including shelving, joinery, paneling, internal walls for building partitions in rooms, roof decking, and so on. For most kinds of internal, non-load bearing jobs you can choose from our range of MDF. This kind of wood sheets are available in a range of finishes, including modern looks, or finishes that recreate the look of natural wood. So they are ideal for jobs where you want your wood sheets to be attractive as well as functional. MDF wood sheets are very versatile and can be used for jobs inside the home such as shelving, paneling, room partitions, making furniture, and even in crafting and model making. 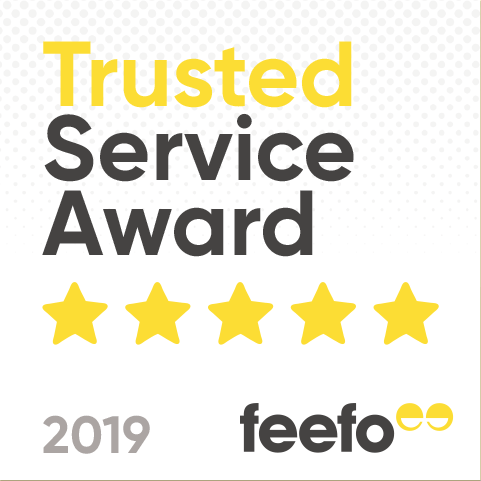 As well as standard grade MDF wood sheets our range includes moisture resistant grade MDF suitable where your wood sheets need to resist spills or splashes, such as in kitchen or bathroom shelving, or for laundry room partitions.